Most of us knew that Google Glass wasn't exactly catching on with regular users. There was interest, sure, but there was also plenty of pushback from those concerned about the camera's capabilities and a variety of other points. But enterprise users have taken to Google Glass in a big way. The combined efforts of Google Glass and San Francisco firm CrowdOptic have produced a new use: training the next generation of surgeons. Surgical training has often had one major problem crop up, specifically, striking a balance between giving residents the initiative while also providing supervision. This can be especially difficult in the case of performing surgery in tight spaces, like a mitral valve exposure. That in turn has left physicians wondering if the rise of real time communications tools might be the ticket, as it essentially allows supervising physicians to watch a procedure almost through a resident's eyes. With Google Glass and CrowdOptic in play, a wearable platform for visualizing surgical efforts could be on hand. 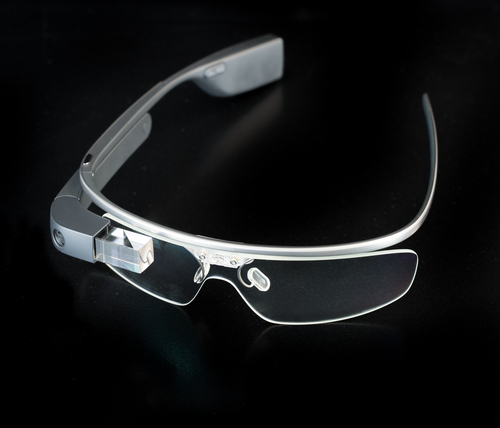 Testing called for both resident and trainer to wear Google Glass devices, and video could be streamed from the resident's Glass to the trainer's Glass with a latency under one millisecond. From there, a simulator was constructed where the field of operation was kept hidden from the trainer yet made visible to the resident. Suture placement keys and a standard script could then be used to let the resident place needles accordingly. Error scores were then calculated based on accuracy of placement, and both users completed questionnaires about the experience following its completion. The results, meanwhile, were telling: while using the wearable device didn't hamper the time to completion rates by much, it did drop errors significantly, which indicates better accuracy with the device in place. Three out of four users called the device “unobtrusive,” as well as“easy to operate” and “useful for communication and instruction.” Every participant involved reportedly considered the device useful in an actual operating room setting. Some believe that this could kick off a breed of surgeon that's always wearing Google Glass, and with good reason; the ability to record everything that's seen can be a huge help in terms of settling malpractice lawsuits, and the ability to stream what's being seen can make it easier to call in help in complex situations. Hospital staff outfitted with Google Glass can see the surgical site as readily as the surgeon can. Imagine a medical school where everyone's watching actual surgical video every day, seeing just how to navigate within a patient's thoracic cavity, for a start. Pictures and diagrams become outmoded tools of the past; video steps in to show how to lance boils or perform surgical prep work. But there's one main problem; streaming video requires bandwidth, and plenty of it. Most hospitals aren't equipped for such things, though there's been a lot of work in recent days to accommodate the growth of devices in medicine. If Google Glass and CrowdOptic's new measure is seen as nothing more than a training tool for surgical staff, it's still a valid end product. But this is more likely the start of a larger trend: a more connected hospital environment.